Race Winner: Brad Keselowski of Team Penske (Ford) in overtime. Climbed to seventh in the opening laps before reporting his car was tight off the corners. Dropped to 18th place before he could come to pit lane for adjustments after the stage completion. Pitted for four tires and fuel plus adjustments before the stage’s start. Started turning top-six lap times and drove from 18th to as high as fifth. Restarted 10th with 50 to go and immediately climbed to fifth before giving up several positions to cars with newer tires. On the restart with 39 laps to go, Kyle Busch spun on the front stretch and collected Briscoe forcing him to pit lane for repairs. Restarted 23rd, the last car on the lead lap, with 34 laps remaining. Rain forced an hour-long delay with 28 laps remaining. Briscoe survived the wild racing in the closing laps and overtime without incident. 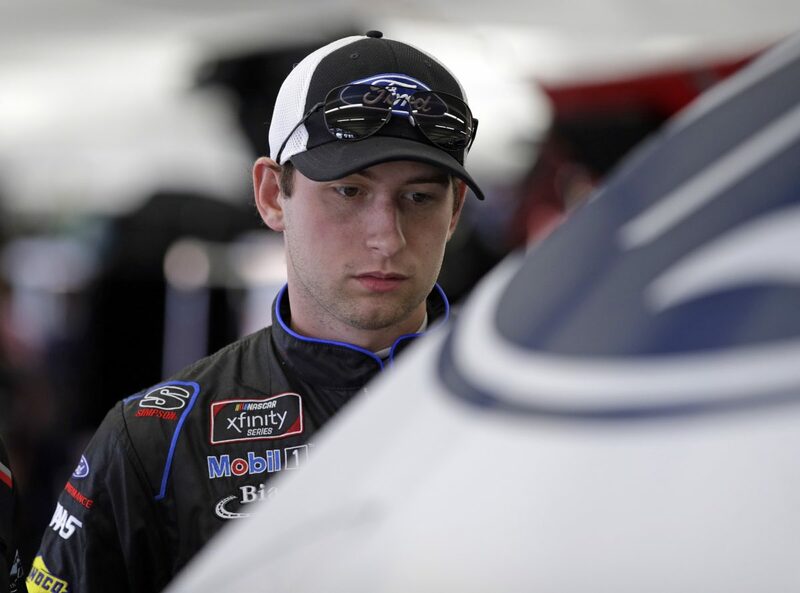 Saturday’s race marked Briscoe’s sixth career NASCAR Xfinity Series start and third at Stewart-Haas Racing with Biagi-DenBeste (SHR). The 11th-place finish equals his career-best Xfinity Series finish. Thirteen cautions slowed the race for 59 laps with only 22 of the 40 drivers finishing on the lead lap. Brad Keselowski led 77 laps to win the Alsco 300 earning his 38th career Xfinity Series victory. It is his second victory of the season and fourth at Charlotte. His margin of victory over second-place Cole Custer .421 seconds.